3rd edition, copyright 2014. This 121 page 8.5" x 11" coil bound book works as a coffee table book for trip planning and as a back pack reference guide. There is a detailed map of each park showing trails and facilities. 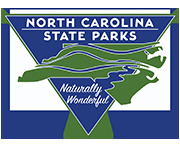 The accompanying text gives a brief description of the park, directions to the park, information on available visitor facilities, and trail descriptions. The coil binding makes it easy to view the maps by allowing the pages to lie flat. 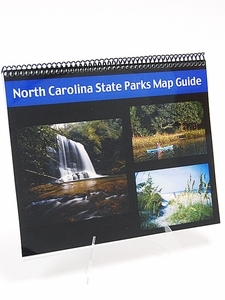 The book comes with a free service for Friends of State Parks members who can receive updates as maps are added or updated.